Scientists have developed a novel computational approach that incorporates individual patients' brain activity to calculate optimal, personalized brain stimulation treatment for Alzheimer's disease. Lazaro Sanchez-Rodriguez of the University of Calgary, Canada, and colleagues present their new framework in PLOS Computational Biology. The new approach is based on a computational strategy known as the state-dependent Riccati equation control (SDRE), which has been applied in other fields—such as aerospace engineering—to optimize input signals that control dynamic, nonlinear systems like the human brain. This strategy enabled the new tool to identify specific brain regions that would not benefit from brain stimulation. The researchers also used their new framework to show that certain parts of the brain, the limbic system and basal ganglia structures, could serve as particularly powerful targets for brain stimulation in Alzheimer's disease. Moreover, they found that patients whose neural structures are highly integrated in the brain network may be the most suitable candidates for stimulation. 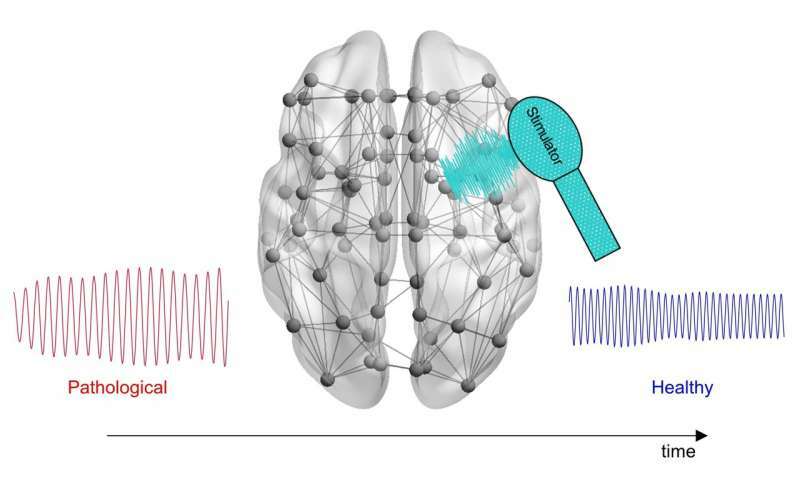 "With our new framework, we are getting closer to erasing the knowledge gap between theory and application in brain stimulation," Sanchez-Rodriguez says. "I think we will soon see a boom in the application of our framework and similar tools to study other diseases involving impaired brain activity, such as epilepsy and Parkinson's." Next, the researchers plan to refine their tool so that it accounts for additional variation in brain activity between patients. The approach will need to be tested in animals before it enters clinical trials.